China's new fleet of unmanned aerial vehicles (UAV's) could reportedly find use as an autonomous, ship-launched defense against submarines. And, according to a paper published in the journal Advanced Materials Research, the UAV's will use genetic algorithms to spot the subs faster. A genetic algorithm is one that works much like natural evolution. It narrows down search results, weeding out the weaker, off-topic responses, and recombining the "stronger" returned values into a better hybridized result. 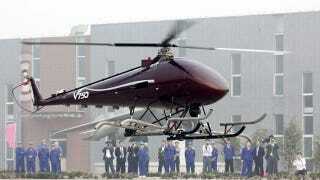 In the case of the Chinese UAV's, this result is a more efficient search pattern. And, by taking factors such as fuel economy, air and sea-based threats, and information from deployed sonar buoys, the UAV's can rapidly home in on enemy subs.